You come from a Service family yourself. Is that where you discovered your spirit for adventure? My late dad, a Royal Marines Commando and a climber, started taking me out into the wild when I was a child where we climbed sea cliffs, made boats and built tree houses. He gave me the confidence to go for it, work things out through trial and error and to always listen to that voice within when it comes to risk. Adventure gave me the opportunity to explore and test my limits, whilst testing myself in bad weather on the seas and in the mountains. From a young age, I realised that it was when it got tough that I came alive and in doing so, I found an early form of expression and identity. Adventure brings out the best and worst in people – we don’t always let ourselves get pushed to our limits. However much we prepare, things go wrong and it is then that the real adventures begin. My experience has shown me that people are stronger and more capable than they think. Was your decision to join the military based on a sense of family tradition or the appeal of an active lifestyle? It is what I wanted to do right from when I was as a small child. I always loved being dirty, covered in mud and climbing anything and everything, so the British Army seemed a good place to get to do more of this. But it gave me so much more, such as a chance to really train in survival and climbing and that in turn built my confidence. The close community within the Special Forces world is unique. The world of mountaineering and our TV expeditions have been the closest thing to re-finding that intimacy in adversity that binds SF soldiers together. 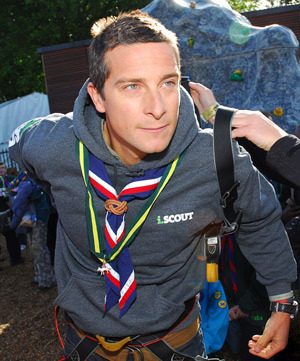 What is it about the role of Chief Scout that most appeals to you? One of the greatest privileges of my life is being appointed as the youngest ever Chief Scout of the Scout Association, especially since the young people played such a part in my recruitment. I love the job essentially because it represents so much of what the Scouts stand for – friendship, family, faith and adventure. If I do nothing else with my life, I will always feel super proud to have held this position supporting and representing our members and I want all Scouts to know that I am here for them. My mission as Chief Scout is to bring the opportunity of everyday adventure, challenge, fun and friendship to millions of young people across the world. Scouting is all about ordinary people serving as leaders and impacting their communities as well as giving young people confidence, a sense of purpose and an extensive breadth of skills that are hard to find anywhere else. What benefits can scouting offer Service children? Service children who find themselves separated from their families undoubtedly benefit from scouting in terms of the ethos as whereever you are in the world, the promise, values and uniform remain the same. This gives them a sense of community and belonging. What attributes does the movement instil in young people? Scouting values consist of being trustworthy, honest and following your word. As Scouts, we are part of a worldwide family united by a common passion of adventure and friendship. In addition to this, courage has been at the heart of scouting ever since our founder, Baden Powell, distinguished himself in the face of immense adversity at the siege of Mafeking. But courage is by no means limited to the military. An 11-year-old boy from Hungary who is fighting a life-threatening disease and immense pain is the bravest person I have ever known. He is frightened, yet he takes on each day with courage, hope and a smile. True scouting values. One of the challenges that the Scout movement faces is finding more volunteers – why should parents get involved? One of my big challenges as Chief Scout is to encourage people across the UK who have the enthusiasm to put something back into their communities and volunteer for this inspiring movement. It is my mission to make it as easy as possible for adults who volunteer with us, to give as much or as little as they are able – it is how we change our society. 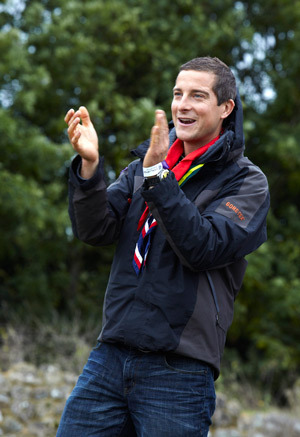 We have got such a wonderful, gifted nation and I want that talent to be used to support young people to take an active, positive part in the adventure that scouting offers. While lots of people know that scouting is all about adventure, they often don’t realise that adult volunteers get to do just as much as our young members through their involvement. I would like to extend a massive thank you to all of our volunteers on behalf of all the young people who benefit from scouting. It’s because of you – you make the adventure possible.